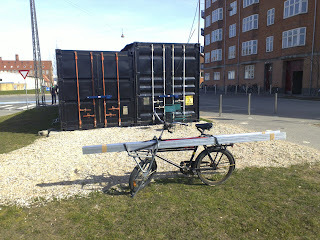 Today we finally got the last parts transported to the workshop at Bicycle Innovation Lab and started building. The sun was shining, everything worked nicely, and to the sound of Malk de Koijn, C.V. Jørgensen and Dj Cremoso, the two first small parts of the frame took form. This was a very nice day. 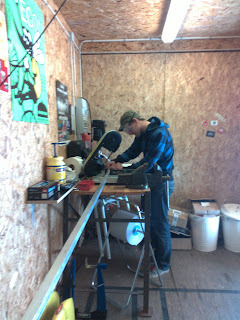 Søren cuts the first piece of aluminium. It was nice to move on form the digital models to handling the materials in real life. 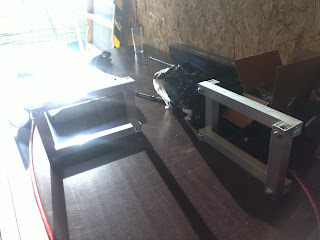 The two sides of the frame which will sit at the front and connect to the wheel.